Yes Dan, everything is fine. Stop worrying!!! That is an order. I hate it when brains do that. Feel bad I didn’t send a pretty card now haha, ‘bit of a do’ is slightly disparaging though but I’m sure they didn’t mean it. You were in my dream last night ;), see blog. Do you have an outfit yet? I have nothing to wear and no money with which to buy anything nice and new, I’m sorry if I end up looking like a tramp! Dan coming from a former english student I think you are over analysing. It’s all lovelyful! Can’t wait to see you all! 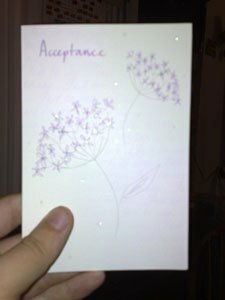 I read you comments about the acceptance card that my wife sent to you, they were pointed out to me by a third party. This was after I found my wife in the kitchen with tears in her eyes, very very upset. I will not comment too much here about your actions, only to tell you that we will not be attending you function and that you have managed to alienate your closest relatives by your actions. Edit – 19 September 2017: This comment was removed shortly after it was posted, at the request of the poster. It has now been restored. For more details, see the top of the post. I think there’s been a misunderstanding, which I’ll be trying to correct as soon as possible. 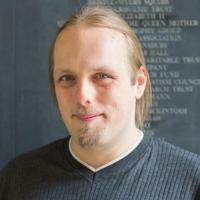 Edit – 19 September 2017: This comment was removed shortly after it was posted, at the request of the person to whom it was addressed. It has now been restored. For more details, see the top of the post. Try removing the whole offending article. I’d rather come to an understanding of why it’s offensive, because if I’m able to cause so much upset without even knowing why, I reckon that I’m liable to do it again: unless you help me, I can’t learn from my mistakes. I’m in the process of removing the article now, but I’d appreciate it if you’d e-mail or call me and we’ll work it out. I’ve already sent an e-mail to Anne to apologise and to invite comment. Remove all of this rubbish and leave me and mine alone. By the request of a commenter, all of the comments above belonging to that commenter and to myself have been removed. Edit – 19 September 2017: These comments have now been restored. For more details, see the top of the post. Hey; don’t want to upset your relatives, but I thought I’d just say that I still like you, and I’m sure I’m not the only one. I’ve changed my mind; I’m willing to risk offending your relatives. Mr Armstrong: Your actions are very unfair in this. If you knew Dan at all, you’d know that he tries very hard to avoid offending or upsetting anyone. He’s a good person. You, on the other hand, seem quite willing to say things which are potentially hurtful and definitely rude (it’s an opinion – just because you don’t agree with it doesn’t make it “rude”). I’m sorry you found something upsetting in this post about how pleased Dan was at the possibility that you might be ok with him being who he is. And I’m very sorry that your wife was upset, there’s nothing more horrible than seeing the people you care about being unhappy. But I don’t see why you aren’t willing to try and talk this through, figure out what went wrong, and make peace. If you’re considering just disregarding this in anger as you did Dan’s attempts to calm the situation down, I’d like to ask you to think again. I know we’ve never met and I have no right to ask anything of you, but even though I don’t know you, I know Dan well. And I can promise you he didn’t mean to hurt you or yours.